Conspiracy is like the weather. Everyone talks about it, but no one does anything. Finally, an Ottawa man is addressing both. Davoud Tohidy wants Canada to come clean on chemtrails and will sue if necessary. He is asking for our support. 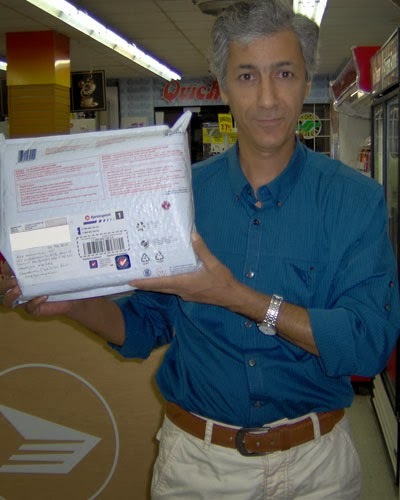 I am Davoud Tohidy, age 47. As a civil engineer, I immigrated to Canada from Iran in 1999 and became a citizen in 2013. I changed my profession to web developer in 2009. Until the year 2011, I had no clue about what is really going on in terms of Stratospheric Aerosol Geo-engineering or Chemtrails. In 2011, an article about Chemtrails changed my life forever. As I did more research, I became aware of serious threats to our environment and mankind in general. I have always seen myself a citizen of the world rather than citizen of a particular Country. I respected and accepted all the races for whom they were. I never allowed any political figures and or media tell me what is right or not. As an individual with an extremely high intuition and sixth sense, I almost always can analyze the data and figure out the underlying facts. I believe chemtrails exist because I see them being sprayed with my own eyes. I have felt different side effects such as arthritis at my age!! Neck ache for two weeks which are symptoms of chemtrails. 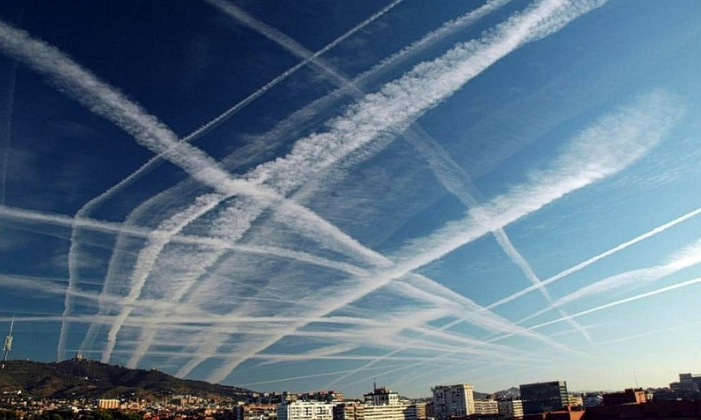 Secondly, credible individuals such as Ted Gunderson former L.A FBI chief and a NASA Scientist talk about Chemtrails. Plus, there are several patents proving that the technology exists. There are some speculation on whether chemtrails are part of a depopulation agenda. In my opinion, the most important reason for chemtrails is that "they" are preparing for "Project Blue Beam" which was exposed by Serge Monast. As soon as I found out that we are being sprayed like bugs, I started to fight it. In August 2011, I created a pdf file with information and evidence about this crime and other conspiracies. I contacted private investigators, politicians, newspapers, churches, activists, organizations, companies and people all around the world and sent them the pdf file via email. I also created a small business card with information about Chemtrails, chembusters and so on and have handed them out actively on Ottawa streets since October 2011. I started a Chemtrails Petition with the help of two cohorts. We gathered more than 3400 signatures from all over Canada. I gathered 1640 signatures in Ottawa on my own under several direct physical provocations and indirect serious threats to my life. "They" had hired different individuals including homeless and others to block my way, prevent me from getting signatures and also, on two different occasions, three different individuals were used to physically provoke me so to create a problem and then prevent me from gathering signatures. In addition, due to social media, I was able to gather many more signatures. Even though this Petition will raise awareness, the lies and denials are likely to continue. The criminals behind this crime do not understand the language of "human". They understand the language of force and power. People have been screaming and petitioning the Government of Canada about Chemtrails since 1997, if I am not mistaken. Their voice has not been heard. The only way to stop this crime is to bring a criminal lawsuit, which is why I started my fundraising site to hire professional investigators and lawyers. I invite you to read the articles linked in the sidebar of my site. We must take action now before it is too late. Our fight may postpone the criminals' plans. However there is no guaranty they will stop the crimes against humanity unless we take them to the criminal court. I would like to conclude with this important message from the singer Michael Jackson who states: "we have four years left to get it right or else it is irreversible then...we are done". Please join me at my website and help to send some criminals behind the crime of geoengineering / Chemtrails spraying behind bars for the rest for their lives. You can Donate or be a Plaintiff in the lawsuit. I guaranty that every dollar of your donations will be spent towards restoring our nature and our planet.